Five more states are being granted waivers from the Bush-era No Child Left Behind law. ANCHORAGE, Alaska (AP) – A national tribal advocacy group is praising the U.S. Supreme Court’s ruling that essentially upholds President Barack Obama’s health care overhaul. Four teenagers are shot as gunfire erupts in Columbia. Two more areas have put burn bans in place. A 36 year old Columbia man is indicted for selling heroin to another man who then died from an overdose. Three people are arrested after a fight breaks out at the Blind Boone Center in Columbia. A Russellville couple is charged with child abuse. 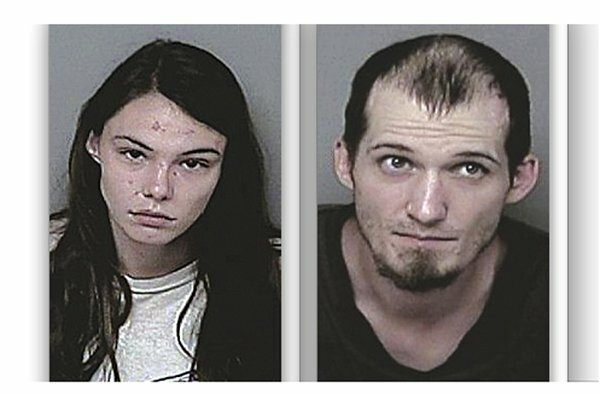 21-year old Lexi Miller and 29-year old Chad Elliott are accused of beating their two – year old son. WASHINGTON (AP) – The Supreme Court’s decision to uphold President Barack Obama’s sweeping health care law is a crucial election-year victory for the Democratic incumbent. WASHINGTON (AP) – The U.S. economy grew only modestly in the first three months of the year. ELLIOT LAKE, Ontario (AP) – Officials have recovered two bodies after starting to dismantle a partially collapsed Ontario mall. If the weather forecast is correct, we will see temperatures around the century mark the rest of this week. Christmas comes early to the University of Missouri as they receive a 30 million dollar gift from the Kansas City Sports Trust. A Sedalia teenager is dead and another is hurt after the ATV he is riding crashes in Pettis County. No rain, low humidity and high winds are creating a dangerous fire situation in Columbia.